Ned was a 6-day-old tiny stray kitten who was brought to the APF. The tiger kitten was alone, afraid, and needed round-the-clock attention. An amazing foster mama agreed to take the small bundle of love home and bottled fed him and gave him tons of nurturing love. Ned grew stronger every day and loved to snuggle with his foster dog mates. Ned was with his foster mother for a couple of months and finally weighed enough to be neutered. He was given all his necessary vaccinations and was ready for adoption. A lovely woman came in and fell in love and now Ned is the king of his castle and has a wonderful forever family, complete with dogs to snuggle with. 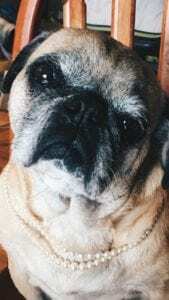 Pearl the pug came to the Animal Protective Foundation at 9 years old because her owner was ill and she had nowhere else to go. 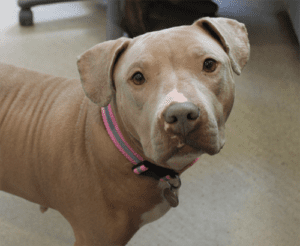 Poor Pearl had a big list of medical issues including being deaf, weak in the hind legs, a head tilt likely due to a neurologic condition, skin issues, dental surgery needs, and needed the removal of mammary gland masses. With the dedication of wonderful people like you, the APF was able to give Pearl the help she deserved. The APF found a foster home for Pearl, and with the love of her amazing foster mom, Pearl became stronger. Her spay was performed and the mammary gland masses were successfully removed. Pearl healed well, gained weight, and has now found her forever home! In addition to her new parents, Pearl has two pug siblings to play with and cuddle alongside. Pearl is forever thankful for your help. Snowcone and Creamsicle were two kittens brought into the Animal Protective Foundation as feral cats. Frightened and scared of humans, the beautiful kittens clung to each other for support. The two were both sick and had severe upper respiratory infections. The staff and volunteers at the APF were determined to keep the siblings together. Our veterinarian gave them medical examinations, vaccinations, antibiotics for their infections, and were spayed and neutered. A foster family took in the kittens and helped socialize them and bond with humans. 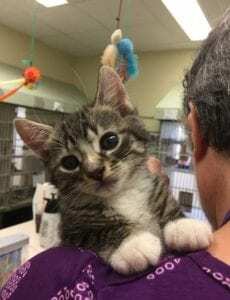 A wonderful woman fell in love with the kittens when they went up for adoption and they are now part of their loving family. 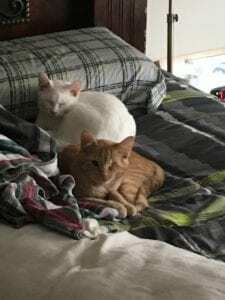 With the dedication of wonderful people like you, the APF was able to give Snowcone and Creamsicle the help they deserved. Lucky Boy, a Pit Bull Lab-mix, had been in an abusive first home and was given up for adoption from his second owners due to a family member’s medical issues. 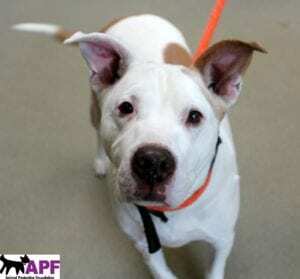 The APF saw that Lucky Boy needed love and support, as he was an older dog and was starting to need extra medical care. He may not have had a chance elsewhere, but we knew we could help him. The APF wasted no time in providing the sweet older dog with affection and medical care. With the dedication of wonderful people like you, the APF was able to give Lucky Boy the help he deserved. A wonderful family from the Capital Region fell in love with Lucky Boy and adopted him. He has settled in beautifully to his new home and his heart is happy. Matilda was used to a life of hardship. The 5 year old Pit Bull/Basset mix was found abandoned and tied to a post sign in Schenectady. Brought to the Animal Protective Foundation by a good citizen, Matilda was shy and overwhelmed by loving human contact. The APF immediately fell in love with Matilda’s beautiful face and knew there was hope and compassion in her heart. Matilda received medical care, nutritious food, safe shelter, and vaccines to keep her healthy. Matilda was spayed and was adopted by a wonderful family. She now has two playful canine siblings and the happiest little girl who loves her so dearly. Fang was a scared 3 year old male cat that was found trapped in an abandoned Schenectady building with a dental wire in his jaw, poking through his chin. The Animal Protective Foundation was able to perform surgery on Fang’s mouth and removed the wire. With your generous unwavering support of the Animal Protective Foundation, his life was changed and his future is now brighter. Today, Fang is happy and healthy in his forever home. 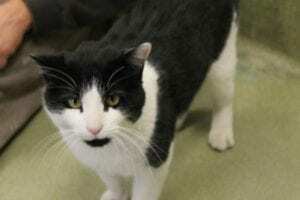 He is super affectionate and loving, thanks to the support he was able to get at the shelter. 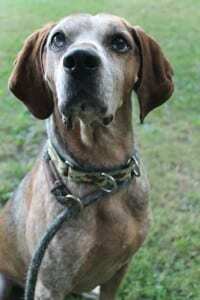 Jasper, a Redtick Coonhound, spent most his six years of life in a shelter. He had never known the constant love of a family, having his own yard to play fetch in, or the safe feeling of falling asleep in his own warm bed. Through a wonderful shelter partnership, the APF was able to bring Jasper to our shelter in hopes of finding him a forever home. Just two and a half short weeks later, our hopes became a reality, as Luke and Cassandra fell in love with the newest member of their family, Jasper. Not a dry eye was in the room as Jasper happily left the shelter wagging his tail, knowing that he was finally going home. Jada, a beautiful 7 year old Pit bull, had lived her entire life outside in the cold temperatures and was used for breeding. Never knowing the love of a family, she came to the APF with trust issues. Our behavioral staff worked with Jada on socialization skills and she slowly gained trust, confidence, and showed forgiveness. 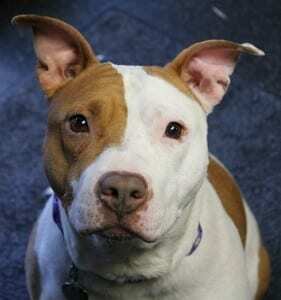 Jada was adopted by a loving active family and now lives inside a warm home and never stops wagging her tail. Her amazing heart has healed and she has found her forever home. It is donors like you who make it possible for us to go above and beyond for these precious animals. Please consider making a donation today. Can't Adopt Today? There are many other ways you can help homeless animals. Copyright 2016 Animal Protective Foundation.